There are two schools at Croydon and Sutton that cover the Surrey and South London areas. Kung Fu Schools (Croydon) is a full time school and offers 4 free classes to all their new students. This means 30 days of training absolutely free of charge, this way, you can try out the Wing Chun Kung Fu system before deciding to become a full time member. See the Free Classes page for more details. The premier martial arts school in Croydon is located on the Captial Business park on Carlton Road. The business park does not appear on all maps as it's new, but it may appear as allotments between 2 railway lines. The entrance to the park is located on the bend between Carlton Ave and Essenden Road (but on the opposite side). The nearest bus stop is on Carlton Road, take the 403 from West Croydon to Warlingham, which also calls at the Fairfield halls. The nearest railway station is Sanderstead, which is served by East Croydon and many Surrey stations. You need to exit Sanderstead Station from platform 2, from the exit of car park 2 turn left onto Mayfield Road the entrance to Capital Business Centre for Kung Fu Schools Croydon will be on your left hand side. 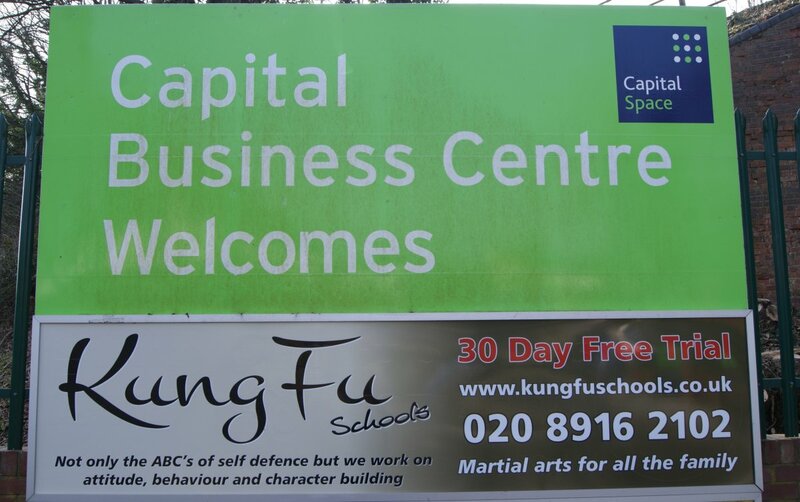 Kung Fu Schools is approximately a eight minute walk from Sanderstead Train station. Entering Carlton Road from Selsdon road the entrance to Capital Business Centre for Kung Fu Schools Croydon will be on your right hand side (this is roughly a two minute walk from entering Carlton Road. From the other direction you would turn on to Mayfield Road from Sanderstead Road, the entrance would be on your left hand side. The school has convenient public transport links for as well as for drivers. The nearest station to the ground is Carshalton Station. This station is served by southern services from London Victoria, Sutton and Dorking. It is also served by First capital connect from London Blackfriars and Wimbledon.